Although a fairly new brand to the UK I think it is safe to say that My Little Box is taking the beauty world by storm. I have long grew tired of subscription boxes that offer the same boring samples month in month out and longed for something more substantial. 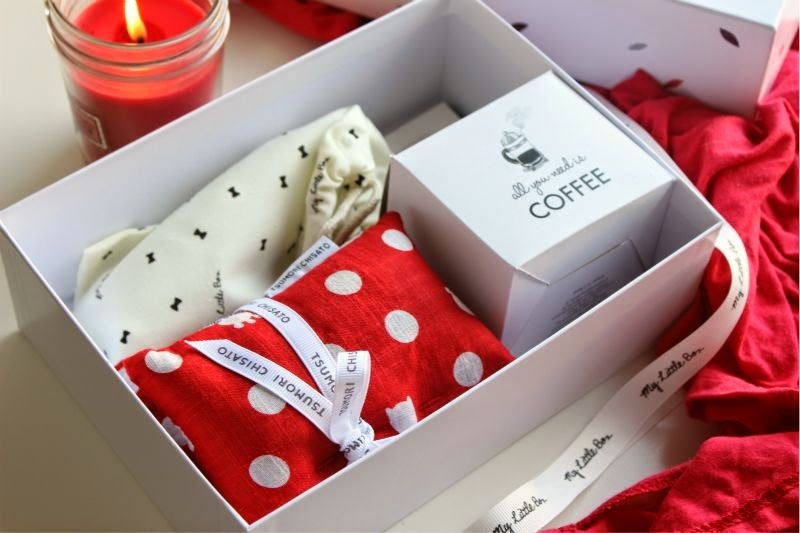 Enter My Little Box - a monthly themed subscription service that not only contains beauty pieces but also little lifestyle trinkets. I can almost guarantee that you'll not only fall in love with the contents from the first box but actually look forward to delivery day each month. How many boxes can you honestly still say that about? 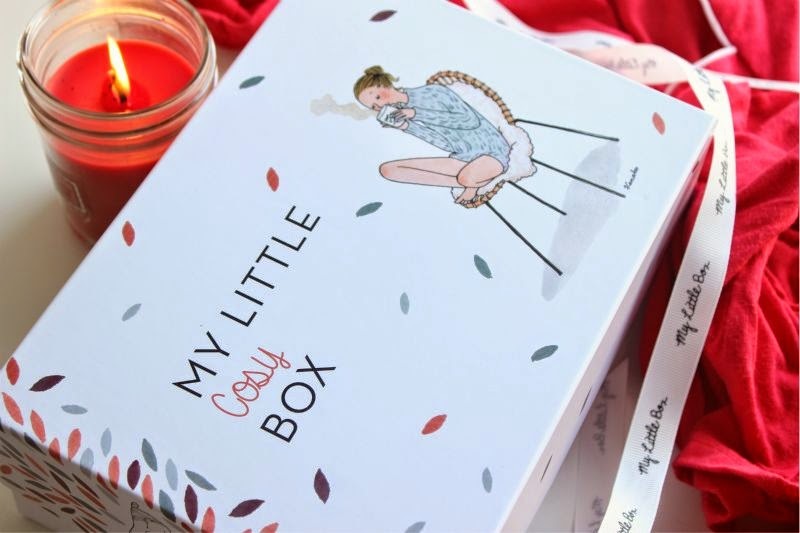 Now let me share what is inside November's My Little Box aptly entitled My Little Cosy Box. 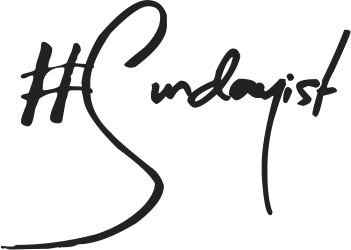 This month there are three make-up pieces all of which have been chosen to create an easy smoky eye look. You have a Yves Roche Eyeshadow in a deep hue, I am unsure if all the shades in the boxes will be exactly the same? I have the shade 112 Brun Cafe Mate which is a deep, blackened brown that is cool in tone and somewhat similar to MAC Brun Eyeshadow. 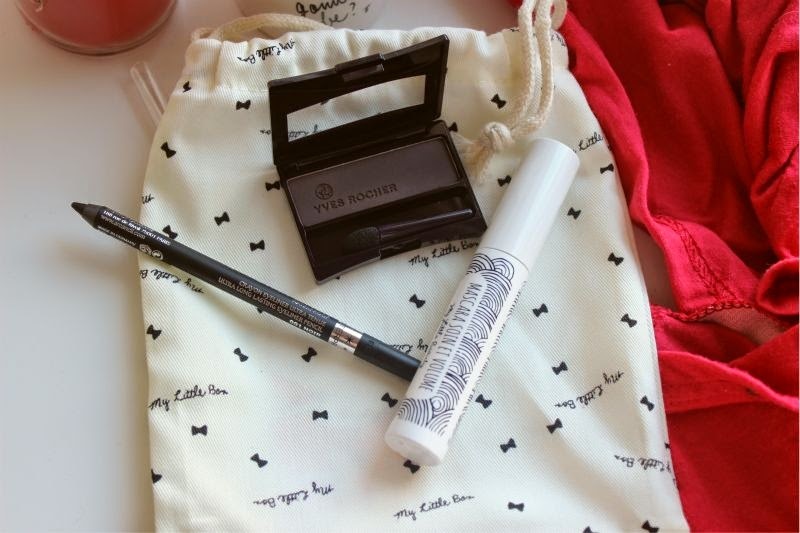 There is also a black eyeliner by Arcancil Paris (a brand I am completely unfamiliar with) that reminds me of Rimmel ScandalEyes Khol Pencils - soft, well pigmented and once set it doesn't budge. To round the look of nicely there is a tube of My Little Box Mascara which in all honesty is a fairly basic mascara - I don't find it adds much volume or length but it will do a turn. Coffee drinkers please forgive me as I don't really know what I am talking about, I have never drank tea nor coffee so types of cups and mugs go over my head. Anyway in this months box there is a small and super cute mug that not only features an illustration on one side but also a motivational quote on the other and in the inside too. I plan on using mine to hold pencils and pens on my desk because I am just that kinda guy. It wouldn't be a cosy box without something to help beat the Winter chill. 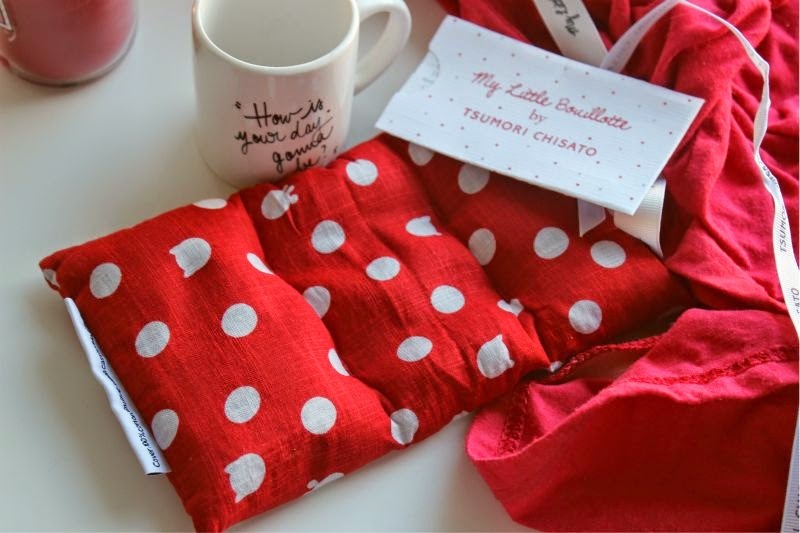 Say hello to the My Little Bouillotte, a small red and white polka dot, bead filled cushion that you pop in the microwave to heat up. I have had a few of these in the past and will go as far as saying this is one of my favourites as it hasn't been scented with lavender! I like the compact size as it can easily be draped on to aching muscles yet is large enough to be used as a hot water bottle replacement. Good work My Little Box, good work indeed. 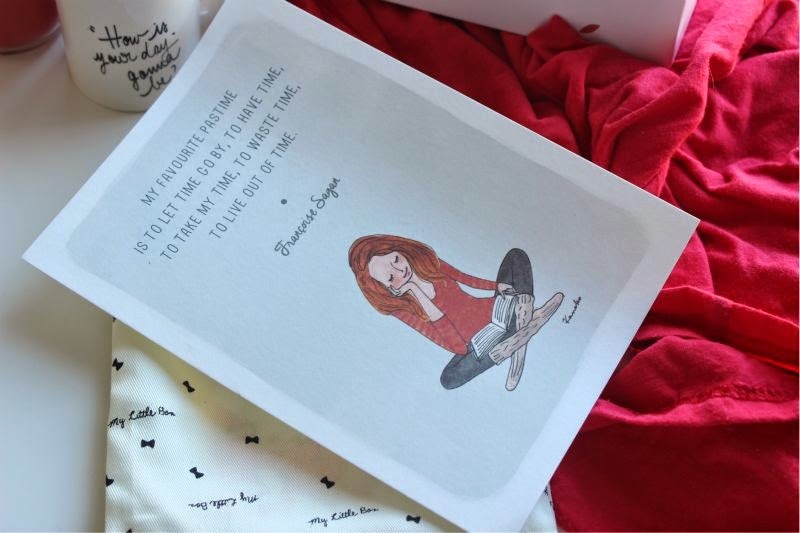 Lastly there is a small print, with a cute message which you could frame or perhaps use it in a DIY project. A great little box non? 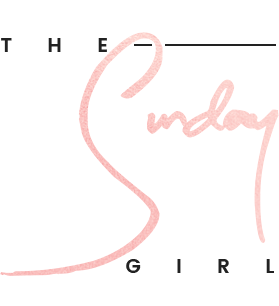 If you see what I did there you have been reading this blog too long ha! You can sign up for My Little Box here - link. It costs £14.95 per month, inclusive of delivery. Ahhh, I'm really excited for mine to turn up now. This sounds like such a lovely idea and I would love to get such good quality makeup and such cute little items like that mug! This sounds awesome! I ordered the GlossyBox and they only include beauty and skincare, this looks sooo much better! I got an Essie nail polish Cute as a Button (5ml) instead of the eyeshadow. Have loved all the boxes, and I really do look forward to receiving it every month! Great post! 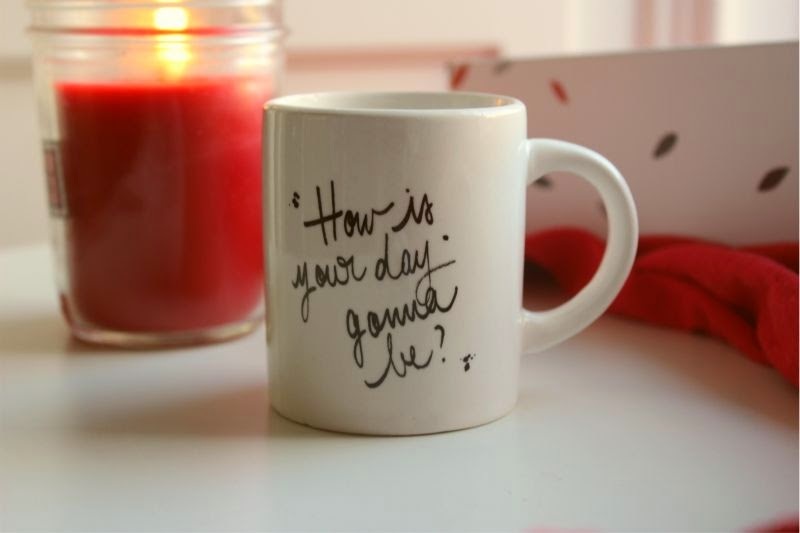 I love the mug! These boxes seem to impress me more and more every time! So cute! I'm going to have to subscribe!! This box is incredible! Cannot believe how cute it is! I'm not one for subscription boxes but this one looks pretty good. 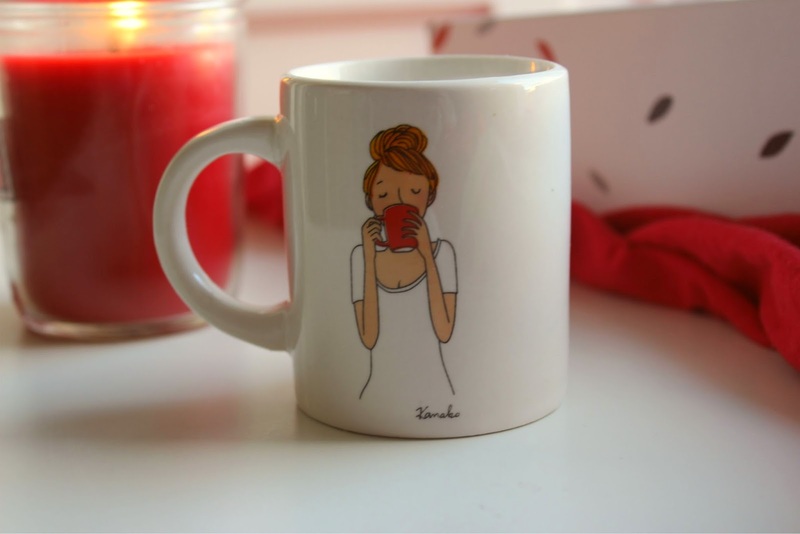 The mug is lovely. I love this so much! I have never heard of this subscription box before but I definitely want to get on board now. This seems like such a sweet little box. I'm so glad I'm not the only person who uses cups to hold pencils as opposed to actual liquid. Coffee and tea really don't appeal to me. This looks like such a good idea! I would love one of these boxes. I got Essie cute as a button, which although it isn't a colour I would ever wear, I was okay with. Except that it is November and even the card was describing a summer product. I feel like it was filler left over from a warmer month. Everything else was lovely though.